Here is the reading brain test. In this brain test, text given is encrypted or scrambled. However your mind is very powerful. It will be still able to read this given text. Lets is if you can pass this simple test. So can you read this quote? 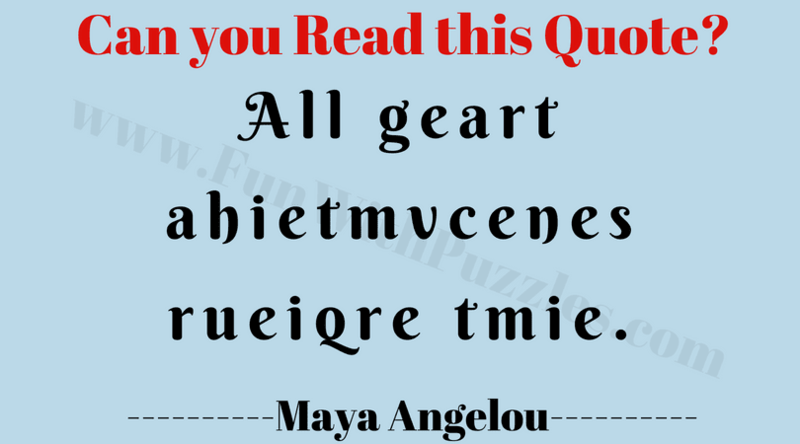 Answer of this "Can you read this? Brain Test", can be viewed by clicking on button. Please do give your best try before looking at the answer.